Jake Wyler bought a cemetery. It was one of those impulse buys and now he was having to spend a large portions of his life savings to be a property owner. He had returned to his hometown to find his life turned upside down and involved in murder, missing money and love letters. He meets an old high school classmate and she handles his money in the bank where she works. 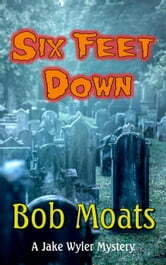 Jake has no idea how to run a cemetery and since the former owner was murdered, he was now really lost. It seems Jake gave the former owner the purchase money in cash and someone murdered him for the money, hidden in the house on the cemetery property. Jake and the son of his lady banker turn the house over to find the hidden cash and came up with nothing. Two times the house had been broken into and was almost the cause for Jake’s own murder. A new book about an ordinary guy caught in mysteries and dead bodies. This book is a novella.